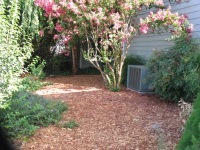 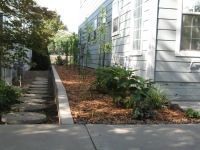 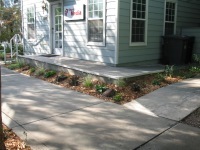 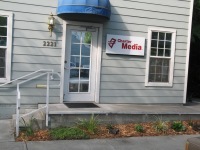 This commercial property in Chico, CA entailed a full renovation of the landscape. 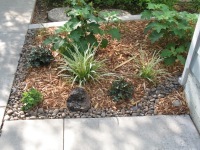 This project involved the reuse of existing plants and rock 'waste'. 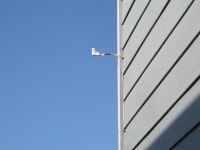 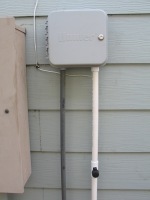 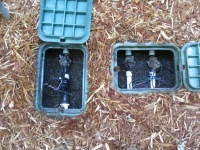 The irrigation renovation included a new controller, drip irrigation and rain sensor. 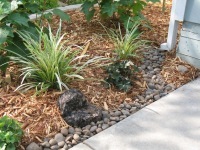 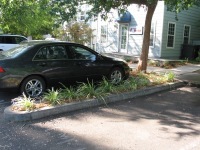 Creative placement of rocks and plants mediated erosion from the rain gutter and prevented rainwater runoff into the parking lot. 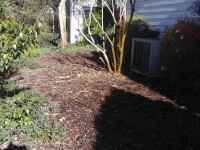 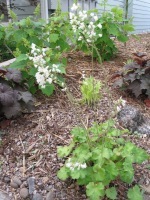 Soil activity was boosted with added mulch. 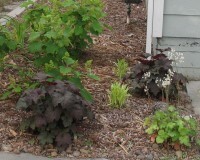 A subsequent HLM program maintained this property until 2017.